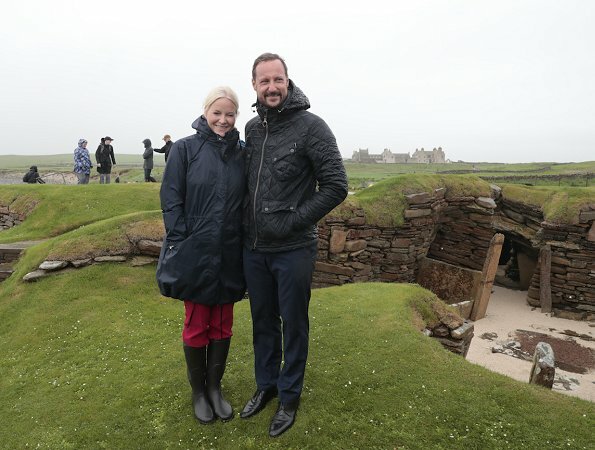 On the second day of their Orkney Islands visit, Crown Princess Mette-Marit and Crown Prince Haakon visited the Skara Brae (UNESCO World Heritage Site) on the Orkney Islands in Scotland. 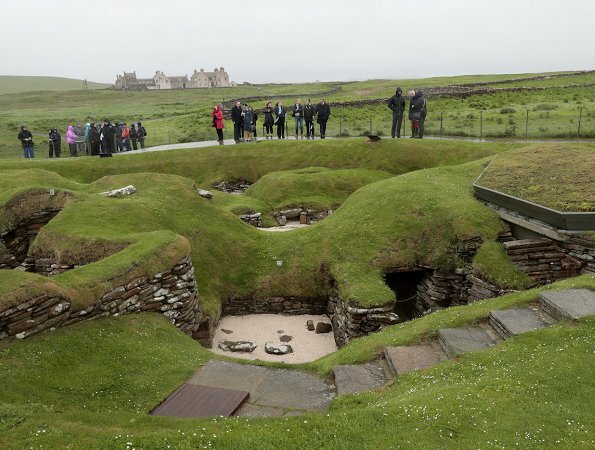 Skara Brae is a stone-built Neolithic settlement. 17 June. MM looks adorable! She seems so much happier and pretty in casual clothes. 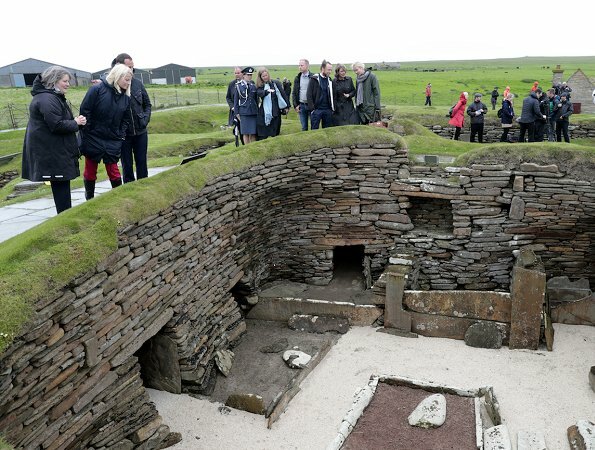 Voilà un couple qui a toujours l'air amoureux et complice. Très peu de fla fla pour eux! I love the second photo! They couldn't look any happier! They love unofficial events, both are glowing here! And they are really happy and comfortable in sporty and casual clothes.